The island of Bali is full of daily rituals and ceremonies. 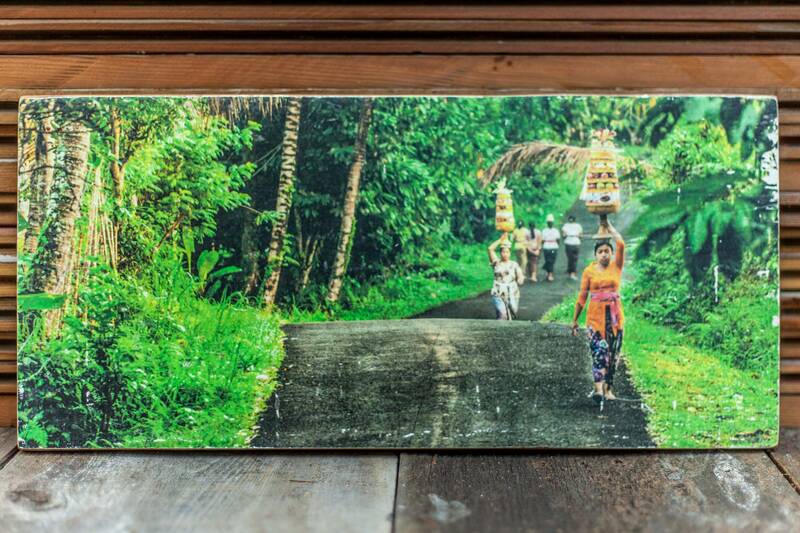 Balinese women has a special skill to carry items on top of their head and walk for miles. This photo is a classic village scene in Bali where women walk tall offerings to a local temple for a ceremony. The image is transferred onto reclaimed wood. Its handmade process gives one of a kind result that makes each piece unique. Size: 16 x 8". Wall hanger included.